Alec was a manager for a major family owned retail chain dealing in high end goods. Four members of the family worked as partners in the business. Alec became aware that one of the family member partners was engaged in a secret arrangement with a smaller retail store dealing in similar types of goods. This partner was diverting stock from his family business to that of the smaller retailer and receiving a financial kickback for this. Over time Alec became aware that the fraudulent activity was becoming more frequent. Being a family business he agonised over what to do. He considered it grossly unfair to the other family members that this activity was taking place. He was too afraid for his own position to approach the other family partners not knowing what their approach would be. 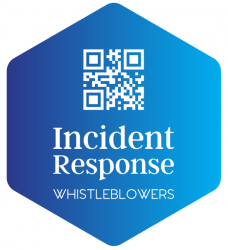 He became aware of the firm’s ‘whistle-blowers’ policy so he was able to pass on the information knowing that his anonymity would be protected, and the call taker service would raise the information regarding fraudulent activity on.